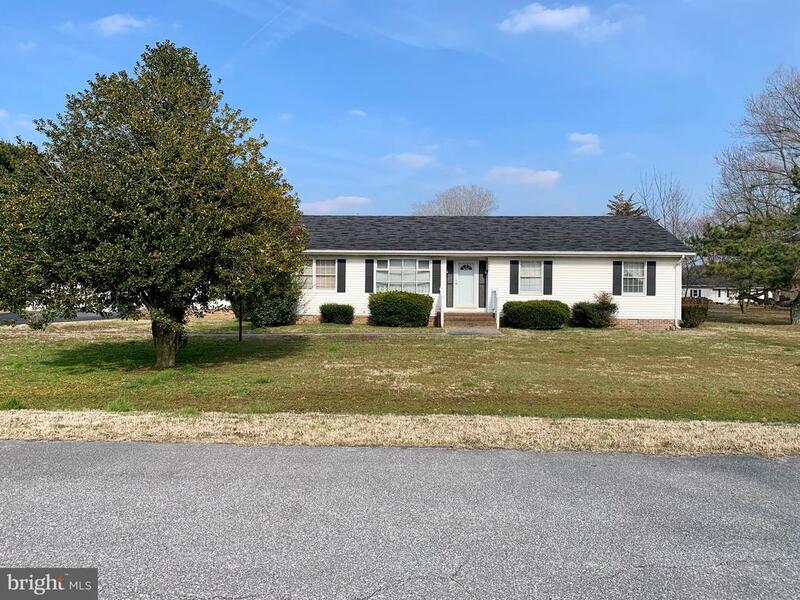 All Pocomoke City homes currently listed for sale in Pocomoke City as of 04/23/2019 are shown below. You can change the search criteria at any time by pressing the 'Change Search' button below. If you have any questions or you would like more information about any Pocomoke City homes for sale or other Pocomoke City real estate, please contact us and one of our knowledgeable Pocomoke City REALTORS® would be pleased to assist you. "Join the hottest business on the Eastern Shore....Poultry Farming. Four chicken houses in tip top condition and a 3 bedroom, 2 bathroom home. Two active poultry contracts convey with the sale. New contracts are hard to come by. This makes your business active on day one. Includes 10 acres of land. Live in the home or have your groundskeeper stay on site. Garage, carport, and manure shed on site.42 x 500approx built 1995 clear 6in,center brood,Val feeders, Radiant heat(brood), Cumberland drinkers,3) 61 x 500 approx built 2008 clear, 6in, center brood, Cumberland feeders and drinkers, Radiant tube (Brood)4) 61 x 484 approx. built 2008, clear, 6in, Cumberland feeders and drinkers, Radiant tube (Brood). All Agrivent controllers generator 250KW, 2 manure sheds. New roof on house in Spring 2019." "Join the hottest business on the Eastern Shore....Poultry Farming. Four chicken houses in tip top condition and a 3 bedroom, 2 bathroom home. Two active poultry contracts convey with the sale. New contracts are hard to come by. This makes your business active on day one. 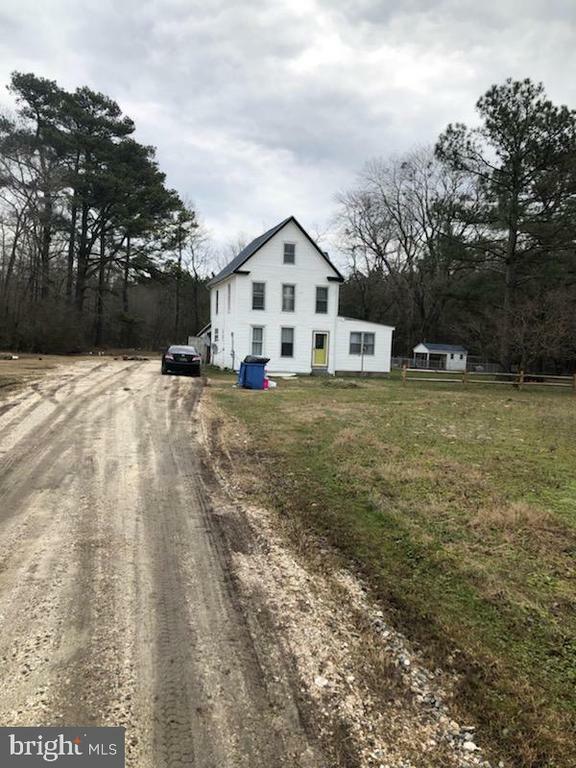 Includes 10 acres of land. Live in the home or have your groundskeeper stay on site. Garage, carport, and manure shed on site.42 x 500approx built 1995 clear 6in,center brood,Val feeders, Radiant heat(brood), Cumberland drinkers,3) 61 x 500 approx built 2008 clear, 6in, center brood, Cumberland feeders and drinkers, Radiant tube (Brood)4) 61 x 484 approx. built 2008, clear, 6in, Cumberland feeders and drinkers, Radiant tube (Brood). 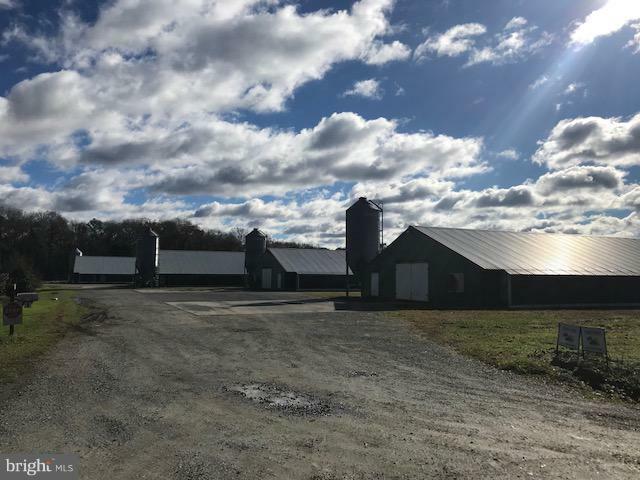 All Agrivent controllers generator 250KW, 2 manure sheds, and more. New roof on the house in Spring 2019." 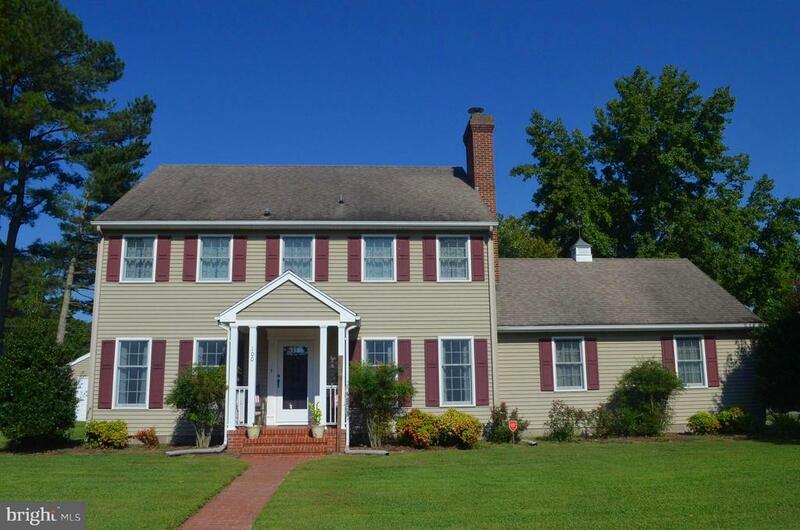 "Approximately 4 miles from Pocomoke City, this colonial has much to offer its Proud New Owner. Enter through a gated entrance and continue on the paved private driveway, which leads you to an impressive five-bedroom home.The original section was built in 1868 and sits on 125 acres with 85 acres tillable. The home has 3,796. sq. feet of living area. Enter the home though the grand foyer that leads to two large living rooms both with fireplace and a library with built in shelving. Next step in the formal dining room with fireplace. A gourmet chef would love the kitchen with breakfast area and stainless appliances. A bright sunroom just off the foyer has plenty of light and a French door leading to a brick patio where you can relax and enjoy the serene view or entertain family and friends." "** Closing cost assistance available! ** Check out this stately 3,640 square foot, 3 story, brick colonial that also includes an adjoining building lot in Pocomoke City! This home has been completely remodeled from the ground up and features a totally modern floor plan. The first floor includes a master suite with sliding doors going out to a brick rear porch, a large laundry/ mud room with a separate entrance, and a huge kitchen with granite counter tops and brand new stainless steel appliances. The second floor has another master suite with a soaking tub and a partially separate sitting area/ office space. Also on the second floor is another bedroom with a half bathroom and a sitting area/office with a separate stair case leading downstairs that would be perfect for guests! The third floor features a second laundry room and full bathroom to serve the additional 4 bedrooms that are located on this level. One of the bedrooms is large enough to be a game room/play area. This home also features a brand new roof, all new windows, insulation, and a new HVAC system. This home has plenty of room for all of your family and any guests that come to stay. Come take a tour!!!" 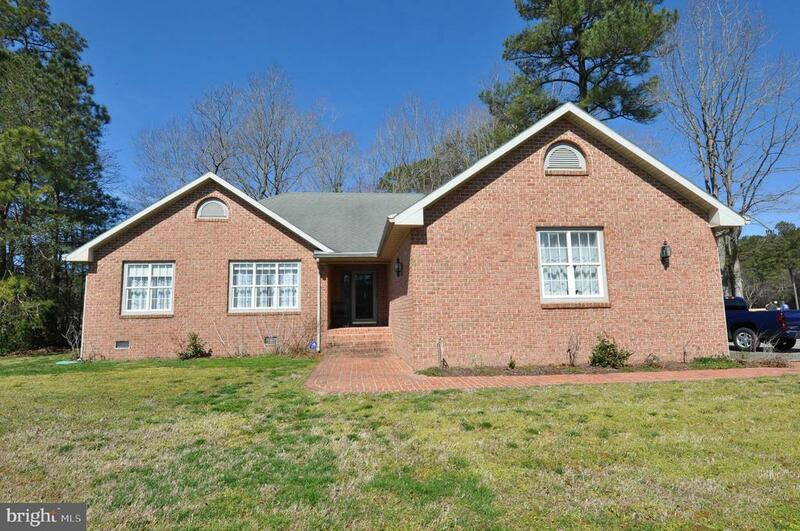 "Spacious Cape Cod Home with pride of ownership in every square foot! Tucked away on quiet cul-se-sac in town limits, but near all conveniences. Extra Large living room and kitchen areas. Laminate plank and custom tile flooring throughout. Separate office area. 1st floor master bedroom and master bath with jetted tub and walk-in shower. Gas range, Dishwasher and Refrigerator convey as well. Bedrooms 2 and 3 (upstairs) both have large walk-in closets. Dual-Zone heating and cooling for upstairs and downstairs HVAC separation. Separate heating and cooling for bonus room as well. Check out the massive 31'x11' finished bonus room (Could be used as a 4th Bedroom) Over-sized 32'x21' garage! Huge fenced-in back yard. Enjoy cookouts, family gatherings and other outdoor activities on the massive 60'x11' back deck. Move-in ready!! (SEE PHOTOS)"
"A must see ! 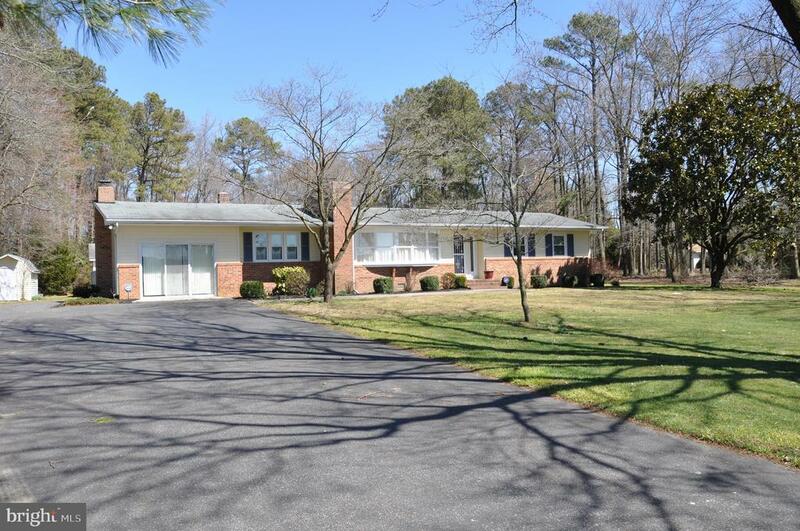 Well maintained home in Jenkins Orchard! Great floor plan, Home offers Laminate and tile floors, stainless appliances, center island and hard surface counter tops in the kitchen, electric fireplace in the living room, composite rear deck, 1st floor master bedroom with a shower, soaking tub and walk in closet, loft on second floor for office space or sitting area. Bonus room could be used as a 4th bedroom would need to add a closet, two car garage, blacktop drive way, large backyard for outside activities! Call today for your private showing!!!" 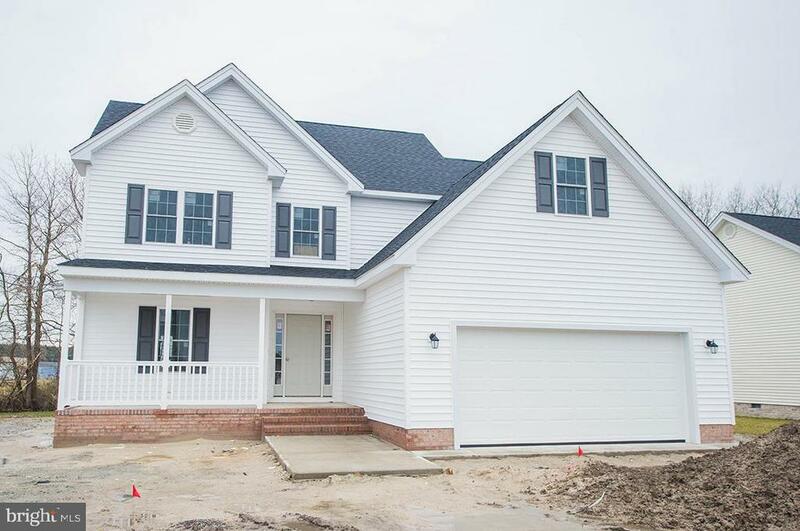 "Brand new home to be constructed in Woodlawn Manor! This two story home features high end finishes throughout including: Designer cabinets, wood flooring throughout, front porch and back deck, granite countertops and stainless appliances, HUGE master suite with sitting area and plenty of closet space open floor plan and so much more! 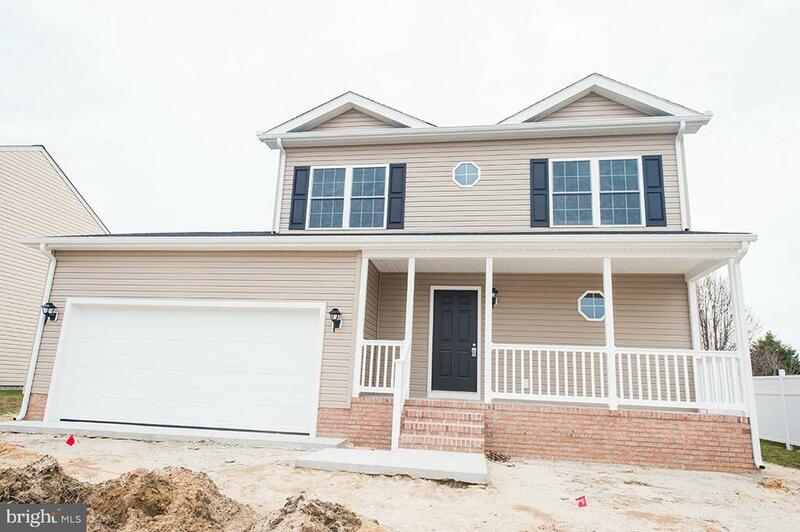 Still time to pick out your finishes and customize this home to your taste!" 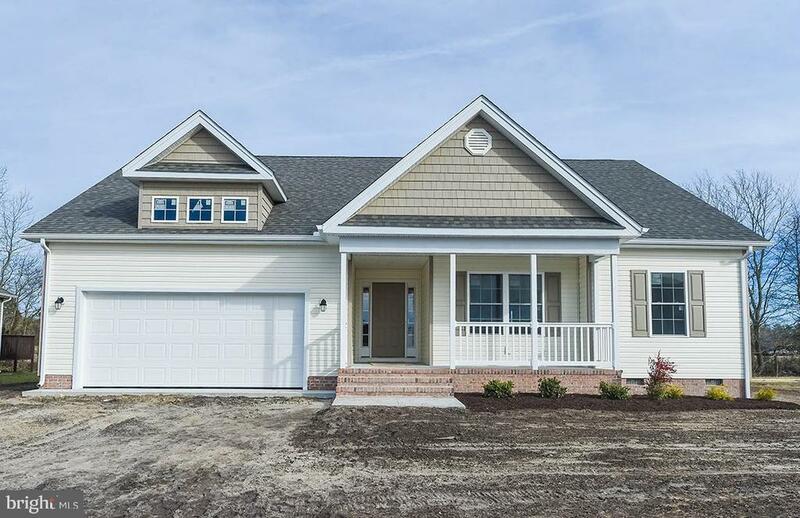 "Brand new construction- Hardwood floors, designer cabinets, stainless appliances,front porch, back deck -large master suite with a two car garage. Open floor plan with open kitchen, dining/living room area. Large spare bedrooms, one of the least expensive price per sq ftnew construction on the market with these amenities! Ready to move in!" 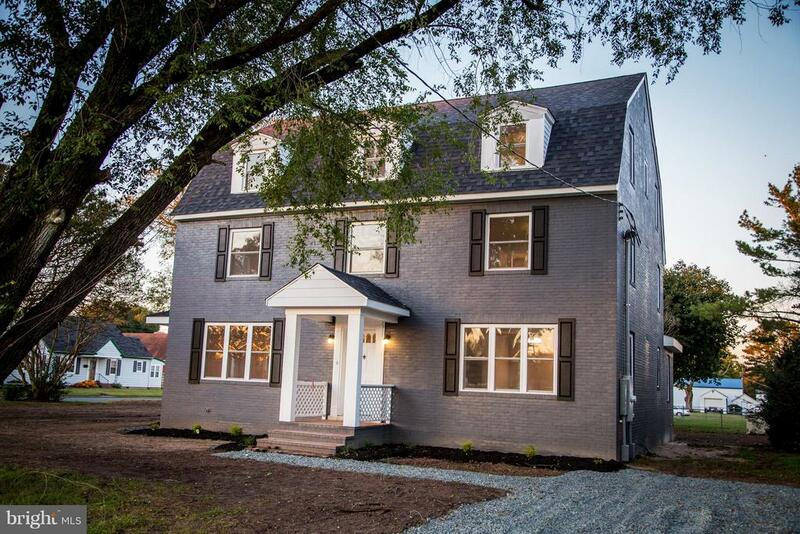 "Brand new construction with high end finishes throughout! Still time to pick our your colors and customize to your taste! Granite counter tops, hardwood floors, stainless appliances, open floorplan with attached garage and so much more! Act before this brand new home is gone!" "Brand new home -with high end finishes throughout! 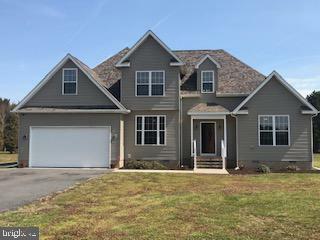 Open floor plan with high ceilings, loft area,office area, first floor master, hickory wood flooring, designer kitchen with bar top/island, huge upstairs bedroom, large front porch and so much more! still time to customize your finishes!!" "RT #13 SOUTH - LEFT AT 113 -RIGHT ONTO GROTON RD - LEFT AT JENKINS ORCHARD SUBDIVISION - TURN LEFT ONTO ORCHARD DR - HOME ON LEFT"
"Get ready to fall in Love with this hard to find 4Br, 2.5 Ba 2 story Colonial! 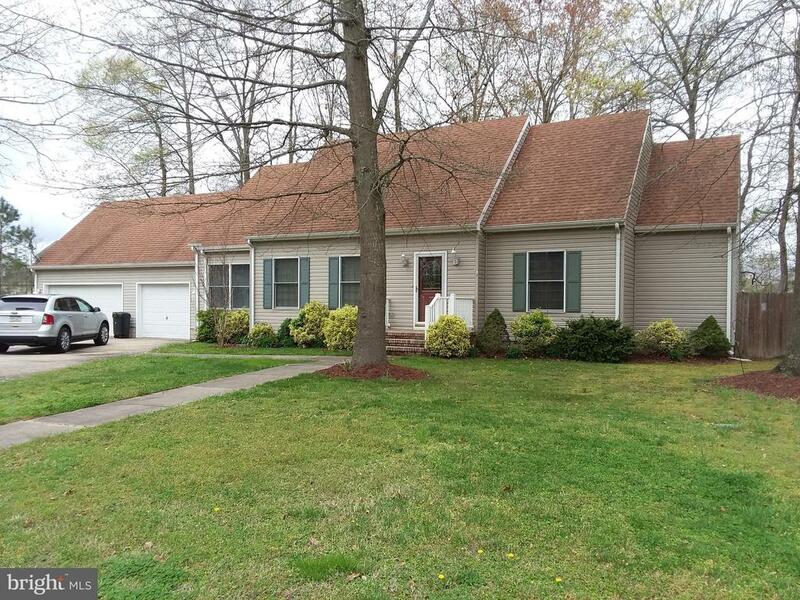 Meticulously cared for this home features beautiful hardwood floors, Master bedrm suite w/walk in closet, lg family rm with fireplace, even a bonus room with a split system for heat & air!!! Use the heat pump for summer and winter except the very cold days when you'll enjoy the warmer hot water baseboard heat. 2 car garage with concrete drive for plenty of parking, everything for which you've been looking! Now those dreams of finding a beautiful 4 bedrm home can become reality! !Seller in the process of installing new kitchen floor & backsplash and new floors in both 2nd floor bathrooms!!! Conveniently located to Chincoteague, NASA wallops flight facility and Ocean City, too! Don't forget to take advantage of the beautiful scenic Pocomoke Riverfront restaurant here you can catch daily sunsets!" "Retreat to your own Private Wildlife Sanctuary on 11+ Acres. Birdwatcher's & Gardener's Paradise! Older 3 Bedroom, 2 Bath home with lots of character! Country front porch, patio with fish pond, Balcony, Carport, Workshop, Chicken Coop & Goat House. Tractors Included! Beautiful long Clamshell Drive crosses over a creek to your County Homestead!" "Quiet Country Living! This Single Level 3 Bedroom 2 Bathroom 1568 sq ft Rancher in a Quiet Neighborhood, Nestled Outside of City Limits on Over an Acre is just 1/2 mile away from Newtown Park - which has baseball & softball fields, Mountain Bike Trail, Pavilion for spring-time Lunches and a Playground area. Enjoy Morning Coffee on your Sunporch off the back overlooking your Large Backyard and Back Deck. Paved driveway with 2-car garage, Outside Shed and Full-size Attic make for Plenty of Storage. 10 Miles from George Island Landing boat ramp, 14 Miles from Wallops Island and 40 minutes from PRMC, SU, and all that Salisbury has to offer, as well as the Beach. This is It, and After All....YOU DESERVE IT!" "Brand new 2 story cape code under construction! 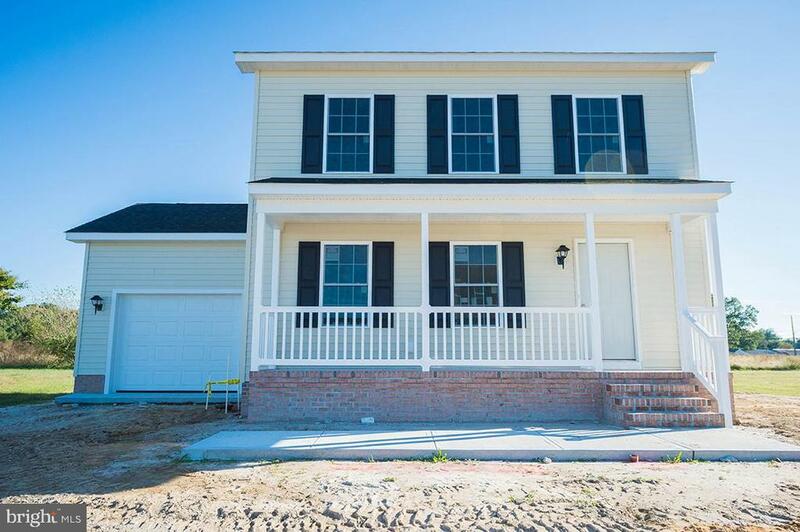 3 bedrooms 2.5 baths Wood flooring, granite counters, stainless appliances, first floor master, open floor plan with front porch and back deck. Still time to customize you colors!" "Brand new home under construction -with high end finishes throughout! 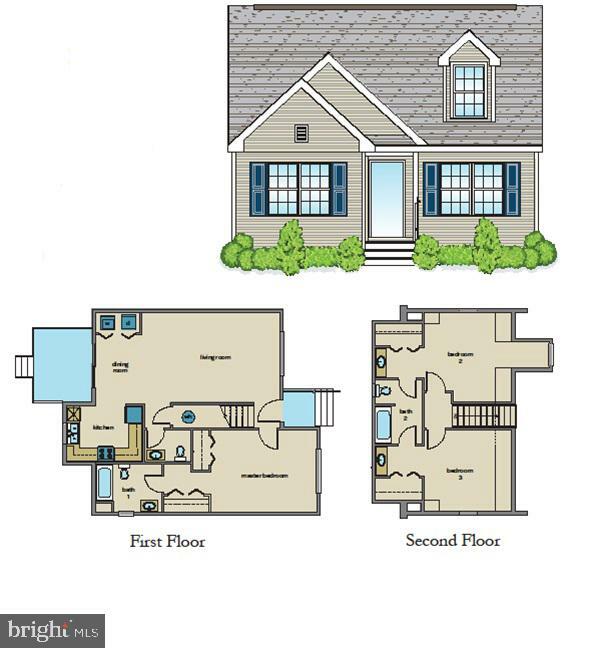 Open floor plan with high ceilings, loft area,office area, first floor master, hickory wood flooring, designer kitchen with bar top/island, hugeupstairs bedroom, large front porch and so much more! still time to customize your finishes!!" "Brand New-under Construction- currently being located in Southern Fields! 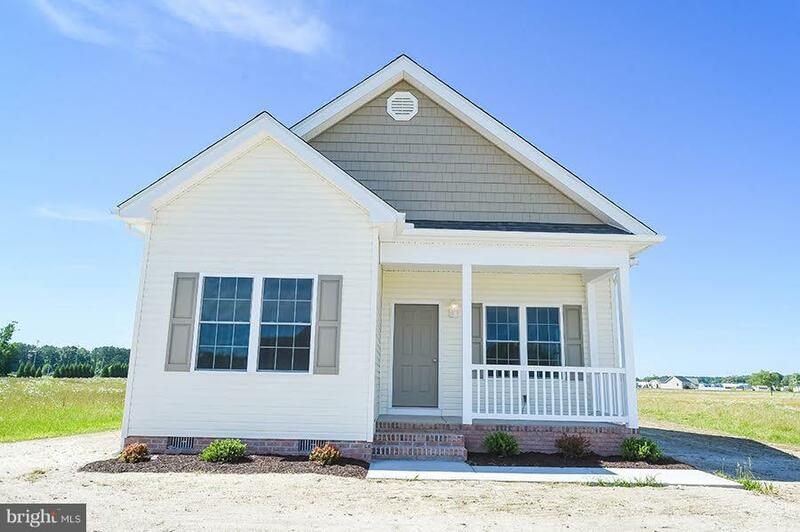 High end finishes throughout including: stainless appliances, spacious front porch, granite counter tops, hardwood floors, open floor plan and so much more! Still time to pick out colors"
"Brand New home under construction with amenities not typically seen in this price range! GRANITE counter tops in the kitchen and , upscale kitchen cabinets , solid hickory wood flooring throughout, stainless steel appliances,designer post and columns on the front porch, must see to believe! Master bedroom features walk in closet and master bath features his and her sinks . There are no other new construction homes at this price with these amenities on the market!! This won't last long! Qualifies for 100% financing!" 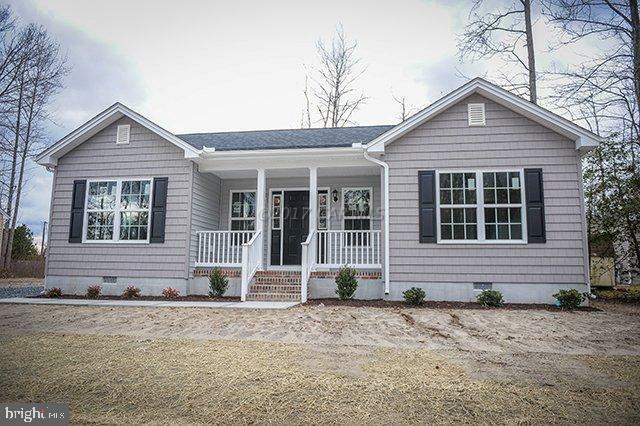 "Brand New home under construction with amenities not typically seen in this price range!GRANITE counter tops in the kitchen and , upscale kitchen cabinets , wood flooring throughout, stainless steel appliances,designer post and columns on the front porch, must see to believe! Master bedroom features walk in closet and master bath features his and her sinks .There are no other new construction homes at this price with these amenities on the market!! This won't last long! Qualifies for 100% financing!" "Beautiful Victorian in Pocomoke City. One of a Kind! Fully Updated! 4 Bedroom 3 Full Bath. Conveniently located in Heart of Pocomoke City. Close by shopping and local entertainments. Recent updates; Roof, Gutter, Tankless Water Heater, and New oil heating. Fully fenced in. Call your agent today for private showing!" "Hi Folks.If you are in search of a quiet country setting convenient to all you need, this is it. 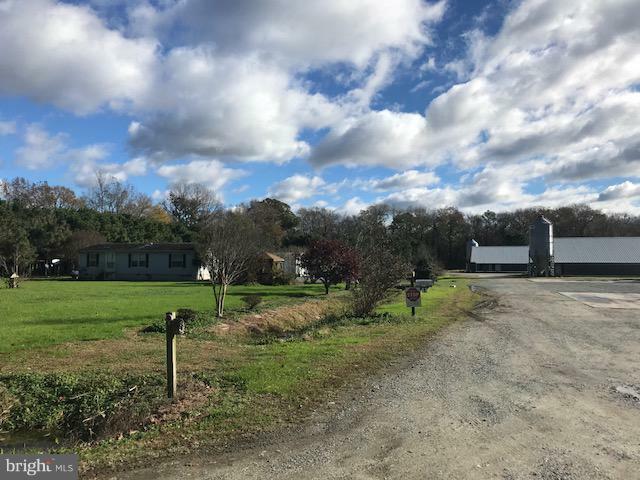 Pocomoke River boat ramp is a mile away, schools and shopping is 6 miles away and yet you have serenity plus right at home. There isn't a thing to do here but move in! The interior has been impeccably redesigned and improved. The exterior is 100% maintenance free. Fine location to stretch out and just be you without worrying about what the neighbors think. This is an eloquent modern country charmer with tons of integrity. Truly a unique opportunity to own your own little piece of solitude at an extraordinary value. Easy to show. Just call to make an appointment.ThanksRico"
"Hi Folks. Rare find, 3br/1bth open floor plan farmhouse offering maximum privacy, New deep well. New roof. New appliances. 4=/- acres. Long lane well off the road. Great place for kids, pets and livestock. Nice little horse property." "NEW IMPROVED PRICE! 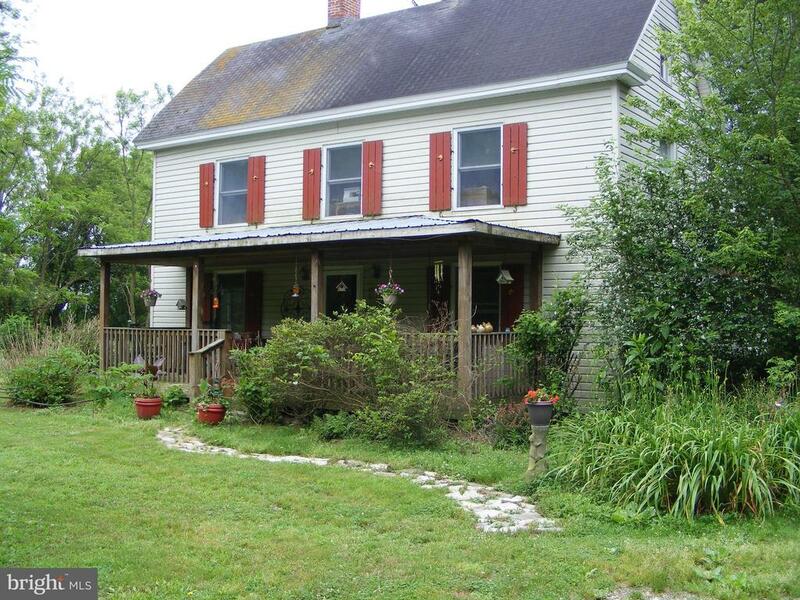 !GREAT PROPERTY, COUNTRY SETTING SITUATED ON 10 ACRES. THIS WELL MAINTAINED SINGLE WIDE MOBILE HOME IS VERY SPACIOUS WITH MASTER BEDROOM WITH FULL BATH FEATURING A SOAKING TUB. THERE IS ALSO TWO ADDITIONAL BEDROOMS ON THE OPPOSITE END. THE FAMILY ROOM IS SPACIOUS SIZE AND OPENS TO THE EAT IN KITCHEN WITH A SMALL ISLAND. THE HOUSE OFFERS 2 FULL BATHS. ALSO A SEPARATE LAUNDRY ROOM LEADING TO THE BACK DOOR. THE REAR DOOR HAS A SMALL DECK FOR A CHAIR OR TWO FOR YOUR EVENING RELAXATION. THE PROPERTY ALSO HAS A EXTREMELY LARGE CONCRETED GARAGE. HARD TO EXPLAIN THIS GARAGE SO MUCH ROOM EVEN AN AREA FOR KIDS PLAY AREA OR ADDITIONAL ENTERTAINMENT FOR THOSE GET TOGETHER'S WITH FAMILY AND FRIENDS. THIS PROPERTY WOULD ALSO BE GREAT IDEA FOR A HORSE FARM YOU COULD USE PART OF THE GARAGE AS STABLES, IF NOT HORSES YOU COULD HAVE GOATS AND CHICKENS OR ANY LIVE STOCK. THIS IS A MUCH SEE PROPERTY."